Successful and versatile Communications Director, Writer, Editor, and Film Producer for academia, corporations and nonprofits. Accomplished manager with a proven track record conceiving, creating, and publishing communications for many markets. A leader skilled at producing interactive communications, publications, and information services. Strong community service record with board-chair experience. Conceive and produce strategic communications for a wide range of Bentley clients, including the deans of arts and sciences and business, office of academic affairs, development and alumni relations, and others. Direct print-to-online initiatives. Produce faculty research publications. 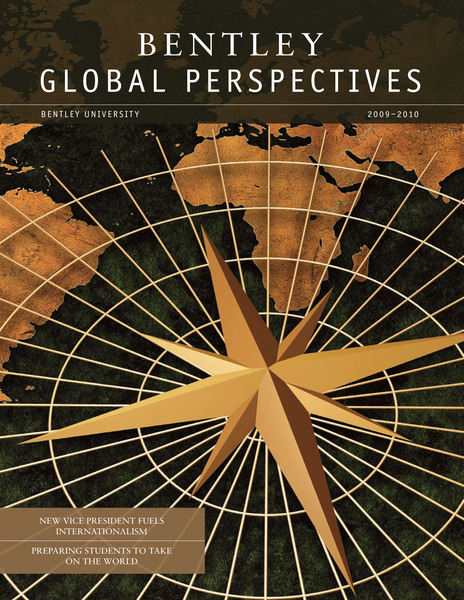 Integrate web and print communications for Bentley’s internal and external audiences. Designed and teach “Journalism for the Web,” a new course for the university. Independent communications and web director, writer, editor, and film producer. Clients include Bentley University, Harvard University, Fidelity Investments, Union of Concerned Scientists, Mad*Pow Media Solutions, Strategic Communications, Physicians for a National Health Program. 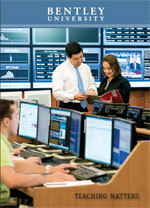 Directed strategy, editorial development, and daily operations of Fidelity HR web and print communications. Managed the work of content experts, design and technical teams, and communications staff to produce mission-critical communications. Lead editorial resource for 550-person Human Resources department, communicating with 40,000 Fidelity employees. Directed trade division’s electronic publishing program, general reference publishing, and corporate partnerships. Acquired large-scale reference works, developed into print and online publications, negotiated contracts, integrated products into marketing and sales efforts. First employee of an early national political community website. Conceived original design, led creative/technical team, launched site in two months. Hired and supervised managing editor and 20+ freelance moderators, columnists, cartoonists. Chief strategic adviser to CEO. Successfully acquired, edited, and published 30+ guidebooks and conservation/recreation books, with final responsibility for content, presentation, and financial success of all books. Hired, trained editorial, production, and marketing staff. Negotiated highly favorable distribution/sales contract with industry-leading publisher. Created in-house direct marketing to 80,000 AMC members. Publisher of Appalachia, longest-running (f. 1876) U.S. outdoor literary journal. Received 1998 Outstanding Leadership Award from peers and leadership. Supervised editorial and production for 30+ recreation/country living/cooking titles per year. Created and executed budgets and schedules, managed in-house staff and freelancers, supervised overseas co-publishing program. Directed editorial, production, and wrote chapters of Above and Beyond, a history of America's Medal of Honor; editor, co-author of Pawns of War: Cambodia and Laos, volume 23 of Time-Life's series The Vietnam Experience; edited Words of War, an anthology of Vietnam War literature; author of 30,000-word manuscript on the early years of World War II; copy editor, production manager, member of publications development group. General- and special-interest magazines. Wrote books and articles, directed production, led staff, created and oversaw budgets. Structure complex content projects, manage teams, budgets and deadlines; bring together content experts with technical/design staff, drive projects to completion. Storytelling in video and web-oriented film. Edited 100+ books; published numerous book chapters, articles, essays. Identify strategic goals and user's interests, then create informative, engaging content in all media.